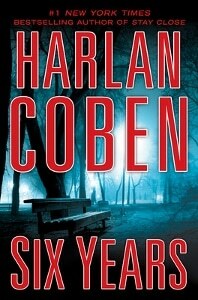 I love Harlan Coben. I’ve never been disappointed in a book he wrote. I’m not claiming that they’re some form of high literature (if they were I would likely hate them), but they are fantastic escapist reading. However, I hate – I mean really, really HATE – the pop culture notion of the “soul mate”. You know, that one person without whom you can never be happy, who you must search for, who is perfect for you in every way. It makes me vomit. So what happens when Coben writes an entire book about a guy searching for his long lost soul mate?? It’s like matter and anti-matter! How can this possibly work?? Yes, I suppose I could have left Six Years on the shelf at the library. But it was the only one of his there that I hadn’t read and I’ll admit it – my desire for escapist Coben pulled harder than my hatred of the soul mate. Take that as a high compliment, Harlan. And to be honest, I don’t regret it – I liked this book as much as I’ve liked all the others. Admitting that I liked a book about soul mates is almost as painful as the notion of soul mates. Anyway. Six Years is the story of Jake Fisher. Jake is a political science professor at a small liberal arts college. He’s in his mid-thirties, loves his job, and is pretty content with the rather Spartan life he has carved out for himself. Except for one big thing – the woman he loved married another man six years ago and he is simply never going to get over her. He has more or less resigned himself to that. He isn’t averse to relationships, but knows to his core that there will never be another woman who can replace Natalie. She made him promise to leave her and her new husband alone all those years ago, and he has. Until now. So what changed? One day during his mundane but generally enjoyable routine, he sees her husband’s obituary. Where does that leave his promise? Can he really live with himself if he doesn’t at least try to see her? Of course he can’t. Unfortunately, Jake doesn’t know that he’s in a Harlan Coben novel and that by even thinking about tracking down his Natalie, he is setting all forms of nefarious skullduggery in motion. So here’s what it comes down to – unless you dig the notion of the one and only soul mate, you’re going to have to look past some moony eyed fairy tale nonsense from Jake. Coben makes it a little easier on us skeptics by giving Jake a good, self-deprecating sense of gallows humor, and having him question his sanity more than once when it comes to his single minded obsession with a woman who rejected him. Having other characters make the same observation takes the edge off the cloying, sticky sweetness of the soul mate concept as well. Which leaves us with the skullduggery, which is as usual extremely fun. There are bad guys, worse guys, and good guys who might be bad guys. There’s twisting, turning, and a lot of very typical (and enjoyable) Coben confusion as Jake tries to make sense of the conflicting information that seems to come his way with every question asked. He may be a romantic moron, but even the biggest romantic moron doesn’t expect this level of treachery. It’s a blast. As always, the book is incredibly well paced. I finished it in 48 hours (fine, I stayed up way too late – sue me) and was not the least bit disappointed in the resolution. What more can you ask from a summer read? I’m going to genre rate here – Six Years gets 4 stars for being a terrific, well written, plotted and paced thriller that’s fun to read. It would be a PERFECT beach read. But I still don’t believe in soul mates.